Located in an Enviable Position in Orba with views over the Citrus fruits surrounded by the Mountains looking out to Sea. Nice villa with wonderful outdoor areas. 2 relaxing weeks in a very clean and tidy villa. Wonderful gardens with lots of areas to relax and enjoy the surroundings. Only a 5 minute drive to the local Masymas supermarket which has everything you would generally need. Very good communication and help from everyone we dealt with through the booking process and the nearby housekeeper We had a thoroughly enjoyable time. Thank you. Just returned home from a 2 wk stay at this magnificent villa. The pictures do not do this place justice..what a pleasant surprise we arrived quite late as our flight was delayed so it was pretty dark but saying that was very easy to find. First impression when we walked in was wow you can tell the owners love this place. There was a lovely welcome pack in the fridge a selection of beer and wine bread etc nice little touch. It was absolutely immaculate inside with huge living space. Bedrooms are very big and have ice cold air conditioning.. much needed as it gets very hot in August. Myself my wife and 3 children absolutely loved staying here. The pool is huge very clean and maintained on a regular basis. The views are simply stunning and the garden is immaculately looked after. I’ve stayed in villas before but this place is on a different level we was so comfortable and didn’t want to come home. Housekeeper is on hand for anything that your unsure of.. very nice couple. Well done to the owners for delivering,it really is nice to see such attention to detail and such very high standards. My children miss the pool already. On behalf of myself and my wife thank you for the best holiday we have ever had. It was a pleasure having you and your family and also your appreciation of the Villa. outside area and views are stuning,you will need transport to get the full value out of your stay. 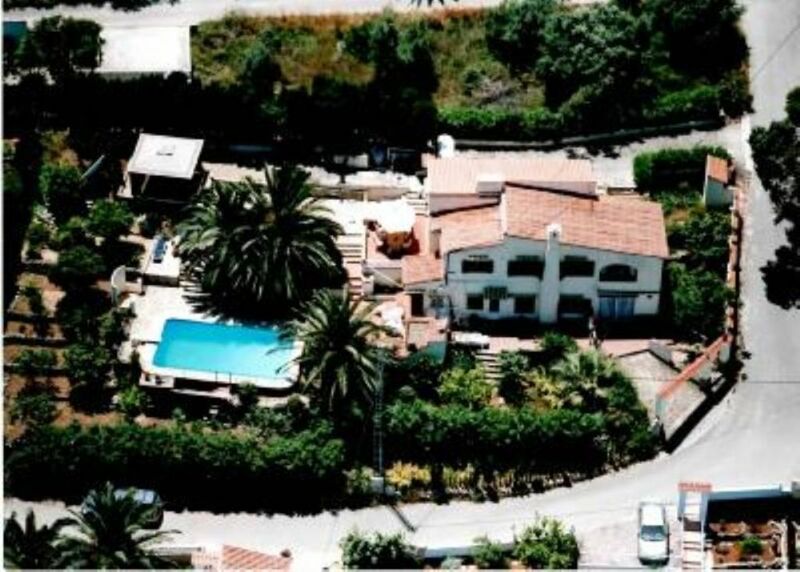 4 star great stay, every thing is in the villa but needs a fridge in the lower rooms, would recommend some transport to get the full value out of your stay. The villa was very secluded, in a quiet area about 10 minutes walk down a steepish hill from Orba. The pool was a good size for the property and the gardens surrounding it were beautifully well-kept. The villa had all the facilities that you would need on holiday and was very comfortable. We were a party of 6 and spent a very enjoyable week there. Due to the location, a hire car would be desirable, it was about 20 minutes drive to the nearest beach. Absolutely stunning with fantastic views. Motorway from either Airport of Alicante or Valencia to Ondara and turn off towards Orba. The Villa is the perfect place to unwind and relax.